In memoriam of our beloved Amelita (30.01.1968 – 29.01.2012). 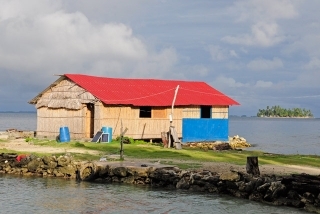 Welcome to Narasgandup Bipi, our beautiful Caribbean island in Kuna Yala, Panama. 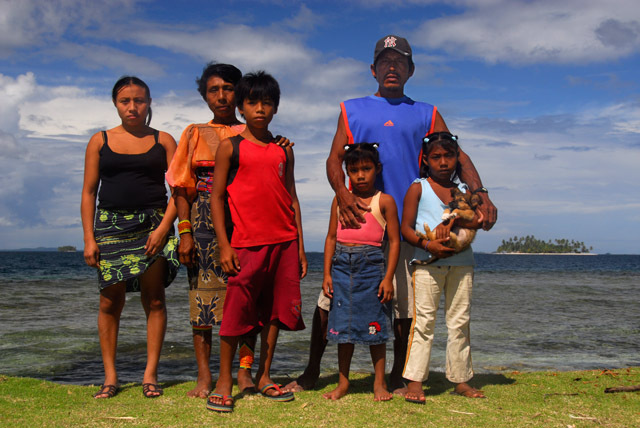 We are the Del Valle family and would be pleased to be your host during your stay in San Blas in the autonomous Kuna indigenous region. We are proud to call this place our home. Here follows a small presentation of our isle and its facilities for our dear visitors. This is Narasgandup Bipi Island, our home and where we would like you to stay with us. There are a few families living on this place. It is not overcrowded at all. 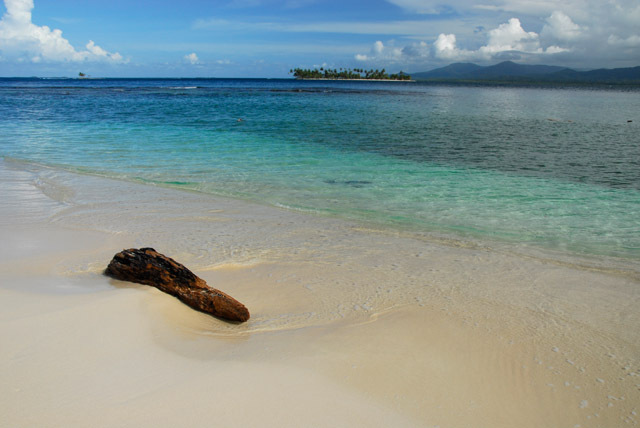 If you are lucky, you can have the whole white sand beach which surrounds the greater part of the island to yourself. This is our family, the Del Valle family, and hopefully we are going to share this small part of paradise with you. We are brothers and sisters with our husbands and wives taking care of our children and actually living on this island. We try to protect our environment by studying and applying sustainable tourism. This place is going to be the home of our children too, so we will ask you to be responsible, too. 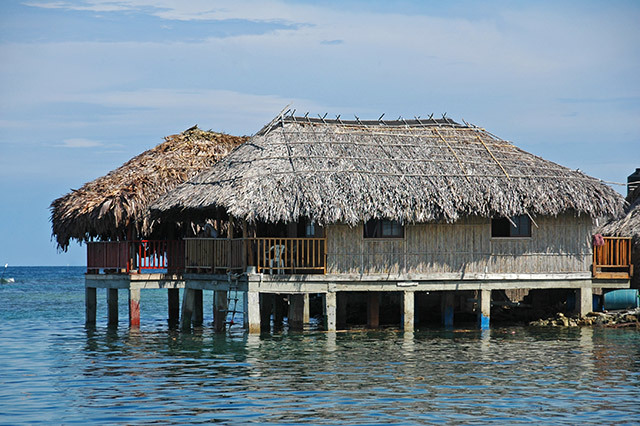 We have five bungalows for our guests, three of them are located on the beach or on the island and two are constructed on columns in the sea. 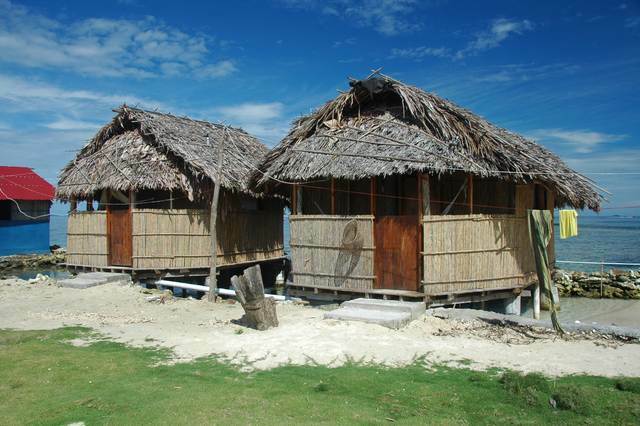 All of them have wooden floor, palm thatched roof and they all are equipped with private bathrooms. The two pier houses can accommodate up to 4 or 5 adults in double or single beds. They both feature a spacious private terrace overlooking the open sea and also functional as a bathing platform and where you are served your meals and drinks as well. Our two traditional huts are built on the sand of the beach to provide you with a more romantic experience. Each has a private bathroom and beautiful sea view as well as an aquarium, where we store our living stock of crabs and lobsters. 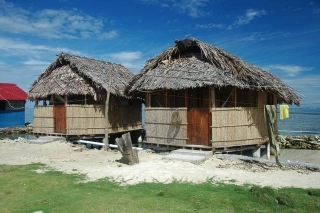 An additional hut is located on the island with similar features just a few meters from the beach. In every bungalow we can fit two double or single beds and we are willing to move them around for your convenience. We have no air conditioning and television sets. More luxury would just spoil the atmosphere of our traditional home and would cause environmental damage. So the beach is not far away from here either. You can relax here for a few days on an idyllic island far away from civilization. There are a few other visitors from the other side sometimes, but otherwise this whole coast is all yours. This is our natural Caribbean pool with starfish and colorful fish in our small coral reef. Below is the place where you are going to eat the delicious food we serve you. Most of the meals are naturally seafood, fresh fish, crab, lobster and conch, as that is what we can catch here. Our menu includes chicken sometimes (vegetarians will have to tell us in advance what to provide during their reservation). The kitchen and diner of course both sport a picturesque seaview and unforgettable sunsets in the evening. The small boat you see in front of the humble thatched restaurant is what we use for the excursions to neighbouring islands and indigenous communities. 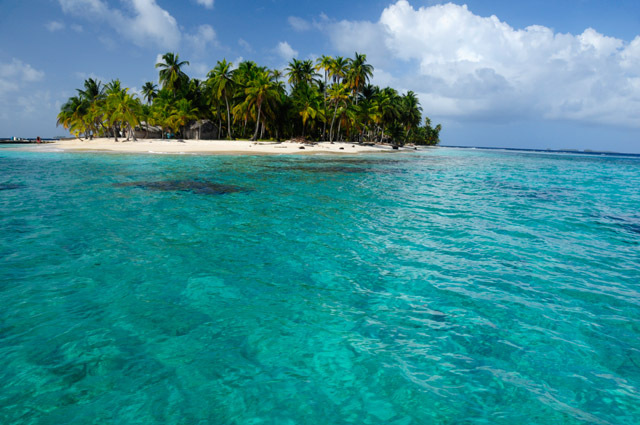 During these trips you will have the chance to snorkel on Kuna Yala’s most amazing coral reefs. Our basic, but clean restrooms. They are not bad at all, considering that we need to bring in fresh water from the mainland as there is no source on our islands. There are two lavatories, each has a fresh water shower. They come very handy when you need to wash off the sea water.